The city is moving forward with plans for what will become the city’s largest park. Martin Marietta, the current owner of approximately 55 acres along South Glenburnie Road, presented the city with a proposal in September to donate the land under recommended usage. 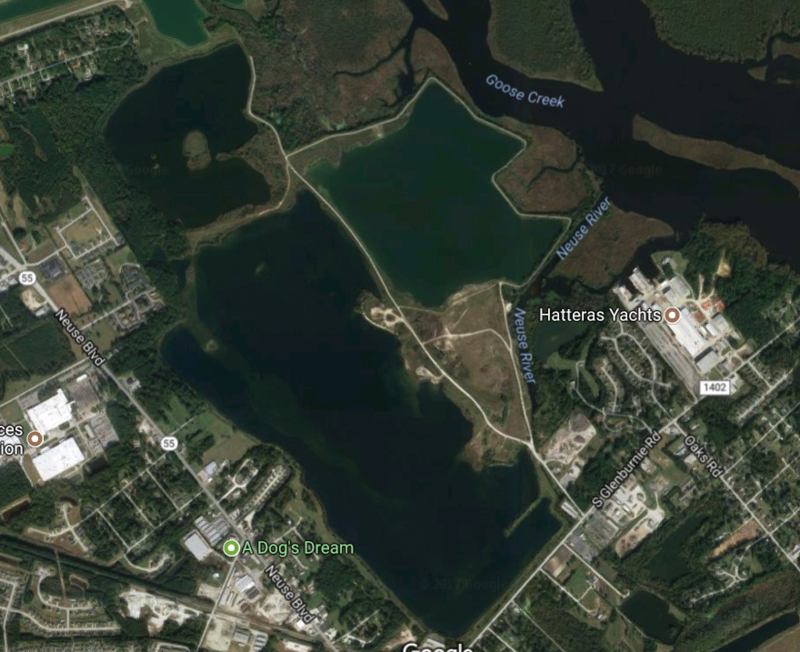 These 55 acres completes a contiguous stretch of land and lakes totaling approximately 888 acres that will now be owned by the City of New Bern. With the addition of this property, the City can now look at developing a master plan outlining multi-recreational and cultural opportunities, as well as the proposed amphitheater, that will be available to the citizens of New Bern as well as eastern North Carolina. Martin Marietta’s donation coincides with the city’s vision to create a regional park with multi-recreational opportunities and the potential of an outdoor amphitheater capable of hosting entertainment and performances. In exchange for the donated land, the company has requested that all advertising, broadcasts, and print materials describe the venue “at Martin Marietta Park” and feature its logo. The company also requested that Martin Marietta aggregate products be used exclusively in the construction and development of the site. The company stated in its proposal letter that it understood the city would have to raise funds for the project, even to consider amphitheater naming rights. The scope and size of amenities at the future Martin Marietta Park will be determined after further study. However, the rise in the number of outdoor concerts and entertainment in New Bern supports development of such a venue, according to city officials. That would be nice. We’ve always needed a venue for concerts, which will help boost the economy in New Bern. I would also love to see a place for kids like they have in larger cities, eg. Discovery Zone, Chuckie Cheese, etc.